Sandon Global have been awarded yet another accolade, this time scooping “Exporter of The Year” at a gala dinner last Thursday evening. 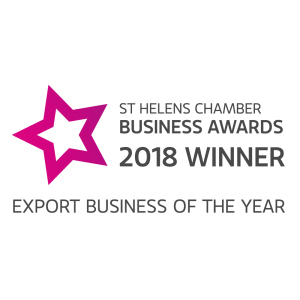 The judges from St Helens Chamber of Commerce assessed various criteria including; The level of exports when compared to size and sector, barriers that have been overcome e.g. language, products/services and approach to new markets. 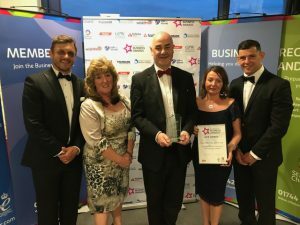 This latest achievement complements an already impressive trophy cabinet that includes 5 consecutive “Suppler of The Year” EFIA awards, a Queens Award and the runner up at the national British Chambers of Commerce Award in the best SME category.